Take a look at Carer's special projects developed by its SPED department to meet highly specific handling needs. 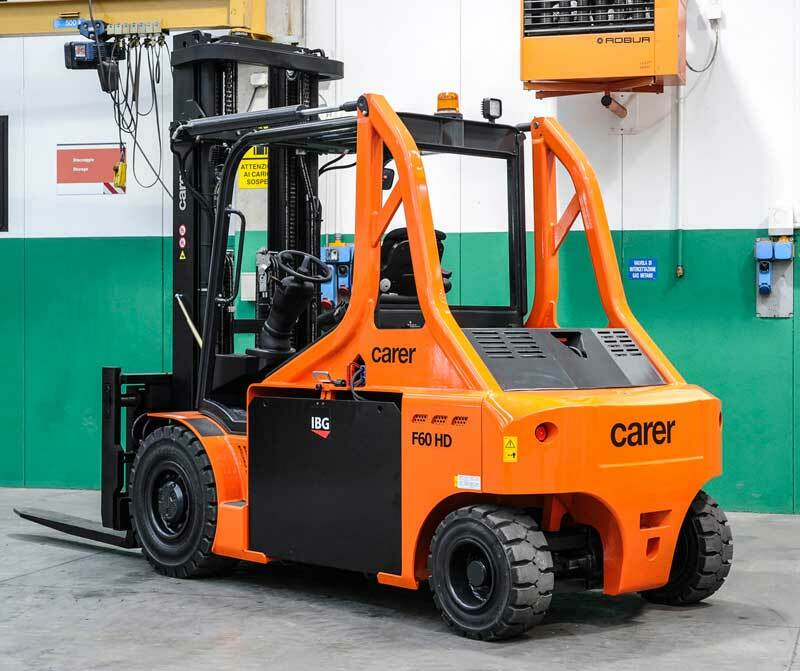 Carer’s A80/900X electric forklifts offer the same great features found in the A80X electric forklift with a 36″ load center, providing you with enhanced stability when handling larger loads. Perfect for outdoor applications, the electrical systems on the A80/900X are fully contained ensuring it can handle extreme environments without damaging critical systems. 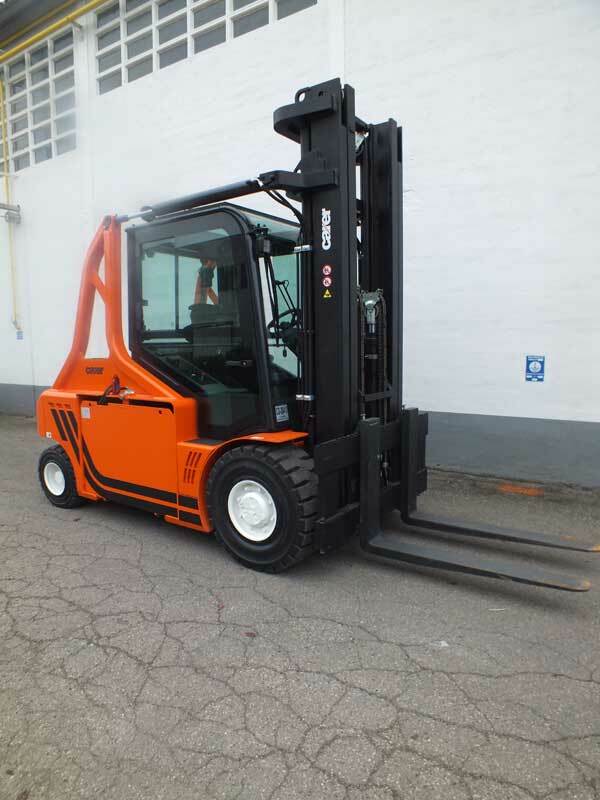 With two 15kw traction motors and planetary drives in the unique independent drive units and hydro-drives, the A80/900X electric forklift offers optimal power consumption, exceptional traction control and maneuverability. 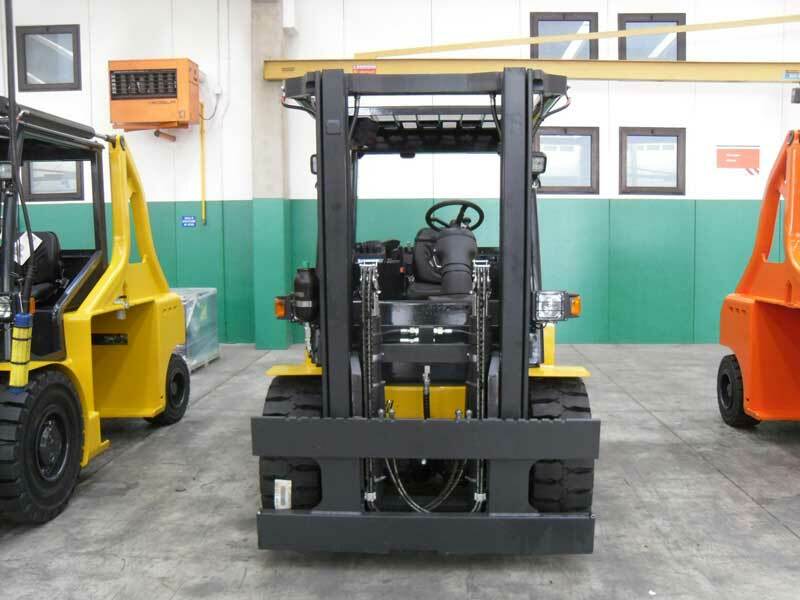 Two standard 48V batteries in a unique 96V operating system and a specially designed hydraulic system make this a green alternative to traditional ICE forklifts. 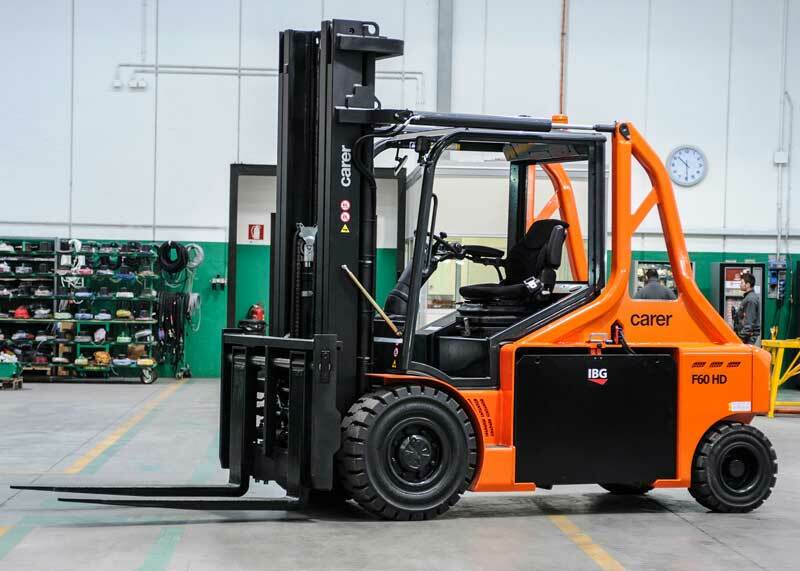 Capable of replacing internal combustion forklifts operating up to 4,200 hours per year without the need for additional spare batteries, the A80/900X electric forklift was designed for multi-shift applications. High torque and exceptional performance are guaranteed with IP54 protected drive motors with up to 5400 rpm. 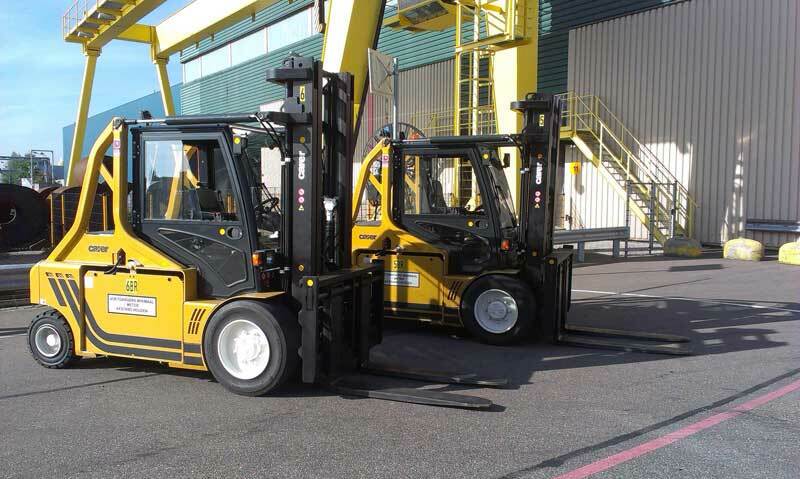 The A80/900X electric forklift offers travel speeds of up to 20 km/h and lifting speeds up to 30 m/sec. 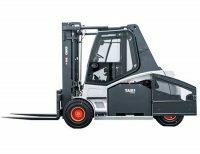 It features large diameter, solid, super-elastic front and rear tires, providing similar ride characteristics to pneumatic tires with better traction icy in conditions. 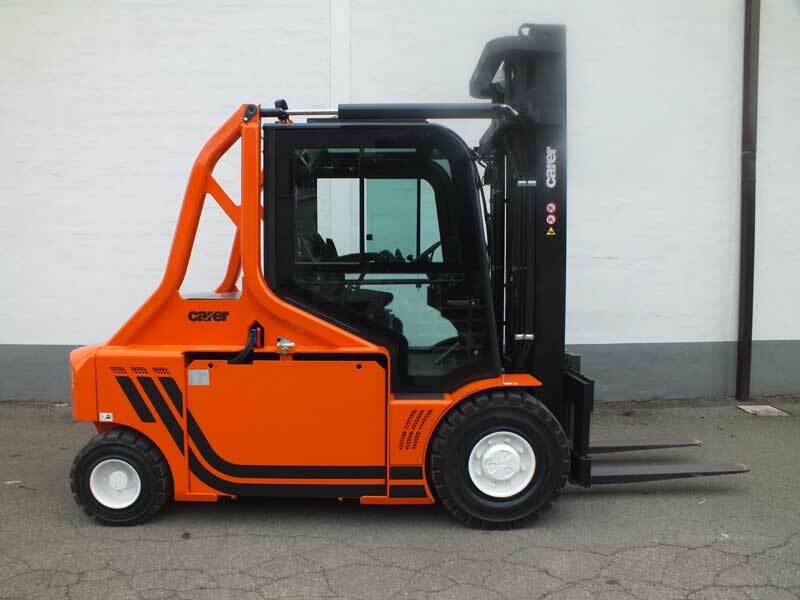 The A-Series comes complete with an integrated rear-view camera, fingertip controls and exceptional visibility. 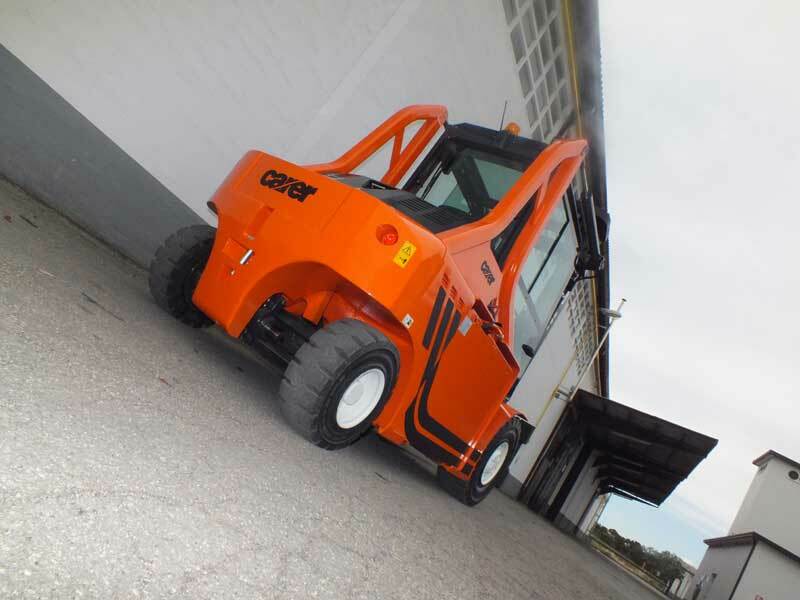 Operator comfort is ensured with ergonomic, fabric heated seats, air suspension and lumbar support, giving operators the tools they need to safely and efficiently navigate long shifts and uneven terrain. 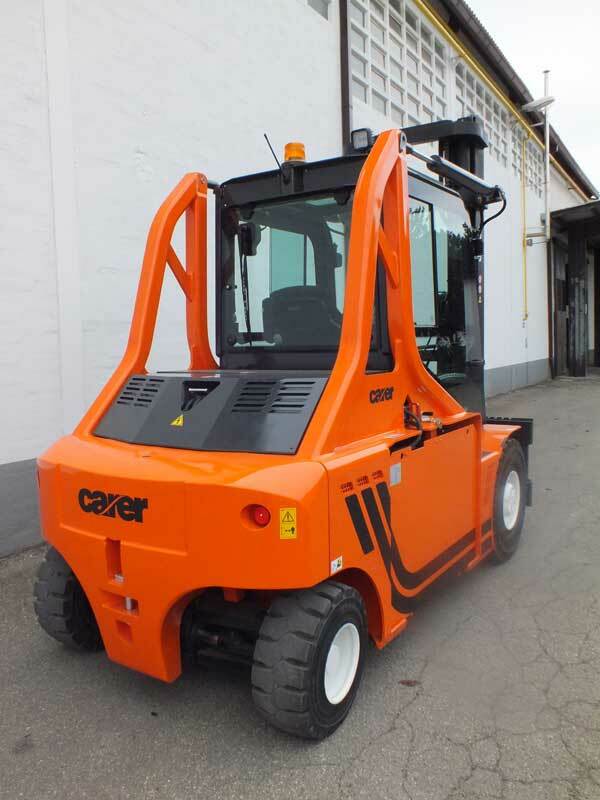 Carer is at your service to provide all the information required on this product. 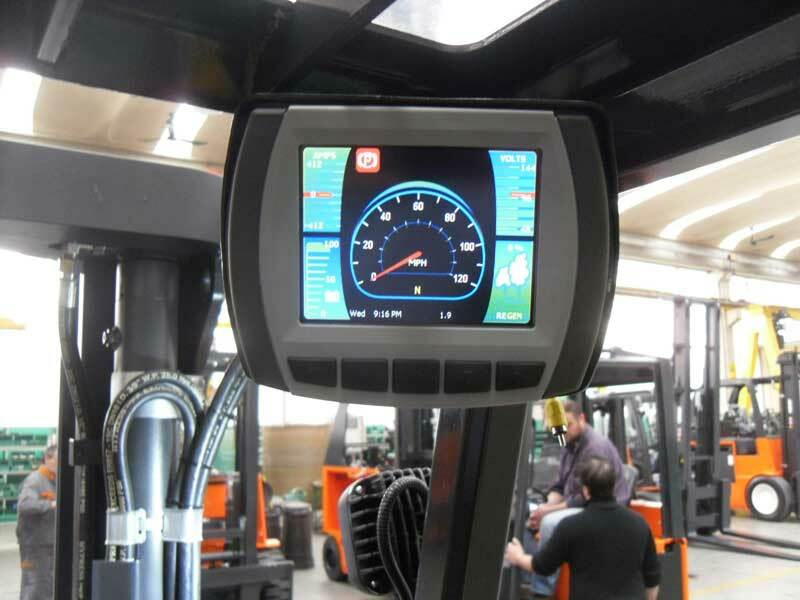 Contact us to request the technical data sheet, further information or to find your local retailer. A network of partners and retailers in all the main countries that is able to cover all of the most important pre- and post-sales needs.